We would love to hear any feedback about the articles and any suggestions you may have for future articles. Parking close to our destination is considered a ‘right’, rather than a market good to be traded. This is reinforced by Planning Scheme requirements setting minimum amounts of off-street parking for new developments, with a view to protecting (normally free) on-street parking and not allowing for reduced parking rates for good building design and use. Although most are offended by the sight of large parking lots and want to see attractive buildings and public use areas, we are also very protective of convenient parking located directly out the front of our destination. Noosa Council has begun the journey to change this paradigm with the introduction of two key policy documents: The Noosa Transport Strategy 2017-27 and the reintroduction of a Contribution In-lieu of Parking policy. d) Priority transport lanes for sustainable transport modes (buses, bicycles, scooters, electric vehicles etc.). This document (and less talked about in the local media) relates more to development and building renewal. From at least 1991 to 2013 a policy was in place to guide Council when assessing a development application that sought to make a monetary contribution in lieu of the provision of onsite parking in the Visitor Mixed Use (Hastings Street and Noosaville) and Business Centre Zones (Noosa Junction and Tewantin). The Policy allowed for some good building outcomes which did not provide all of the parking. This resulted in better urban design outcomes while providing capital for the purchase and construction of social infrastructure (examples include ‘The J’ and the Noosa Junction Bus Station). For the past 5 years (and arguably 10 years if you consider the GFC), the lack of policy in this area has resulted in many developments not being renewed or redeveloped. However, the reintroduction of this policy will assist in providing a catalyst for renewal while using the contributions for local improvements to improve the social infrastructure in accordance with the Transport Strategy recommendations. The combined traffic strategies of Noosa will involve not providing more visible parking at the destination, but increasing the attraction and amenities of the place – without having to “pave paradise”. The added benefits of these policies should also make people rethink how we get around, and maybe it might help us get fit and increase well-being in the process. An exciting new co-working space is nearing completion at the former Noosa Junction Westpac Bank site. Highlights are a contemporary facelift to engage with the street, a light-filtering awning, extensive landscaping and green walls. Town planning approvals were facilitated by Nadine Gorton of Martoo Consulting, design by Andrew Bock Architecture and Thompsett Architecture. The 160,000 sqm Sunshine Coast University Hospital (SCUH) is Australia’s largest Greenfield hospital. Developed as part of a 20 hectare integrated health campus, the world class design delivers a new benchmark in integrated research and training facilities, patient-centred care, and as a healthcare workplace for the Sunshine Coast community. The design vision for SCUH reflects the climatically idyllic and welcoming Sunshine Coast way of life. Opened in 2016 with 450 inpatient beds, and expanding to 738 beds by 2021, SCUH will offer a wide range of tertiary level healthcare facilities, including an emergency department, comprehensive cancer centre, specialised medical and surgical services, maternity service, rehabilitation service, mental health unit, renal service, and interventional and diagnostic services. This project by Sprout Architects was fuelled by a desire for socially and environmentally sustainable architecture, and presents an alternative housing solution unique at this time to the Sunshine Coast. By infilling a 3.5m wide strip of left over space and interlocking with the existing dwelling the result is a deceptively spacious 3 bedroom house. With Planning Schemes allowing the construction of granny flats as accepted development, this perhaps provides some inspiration for your next project! Seems as though Sydney-siders are still looking to Queensland to escape the “rat race”. This Sydney Morning Herald article about migration from Sydney provides an interesting read. Will we see Melbourne become the largest city again? Source: https://www.smh.com.au/interactive/2018/the-world-loves-sydney-australians-arent-that-fussed/. There have been big changes in the housing and rental market over the last 30 years, which are outlined within the Gratten Institute’s recent report – Housing affordability: re-imagining the Australian dream. Unless your parents have money to assist with buying a house, it appears more of Generation Y and the Millennial’s will be living in units, or renting ‘sleep outs’ for the rest of their days. Noosa Council has gone back to the community after 900+ submissions on the Noosaville Foreshore Management Plan – https://yoursay.noosa.qld.gov.au/noosa-river-foreshore-management-plan. Great interest remains from traders and locals about commercial uses, dogs, pathways and wedding venues. Election 2017 – Much the Same or a Shift in Policy? Major planning and development policy shifts occur after State elections. This week Labour announced it will be able to hold a majority government, Gympie and the rest of the Sunshine Coast seats have re-elected their LNP members, and Noosa has chosen to go independent with Sandy Bolton securing the local seat. Sandy Bolton was one of the first councillors when the new Noosa Council was de-amalgamated in 2014 and understands the local planning issues. Two of her key policy platforms involved ‘breathing new life’ into the decommissioned Tewantin TAFE campus, and supporting the development of the Noosa Civic to realise the intended community focus and job creation. Sandy also states she is well aware of Noosa’s wealth divide which is resulting in working families in hospitality, health and aged care paying up to 80% of their income in rent or mortgages. While the power sharing deals and backroom dealing take place in Brisbane, it will be interesting to see what changes for planning and major State Infrastructure Projects. In an effort to provide for more housing diversity, Noosa Council are pursuing a policy change to allow for small (<65m2) units to be built within existing residential zones as ‘accepted development’. The changes would allow for multiple families to be able to be accommodated within existing residential areas, whilst still requiring self-compliance with setbacks, site cover, minimum landscaping and parking provisions. While much of the debate at last Council meeting centred around the risk of even more ‘AirBnB’ and informal visitor accommodation, Councillor’s decided to endorse the changes and seek public comments early next year. This amendment is well supported by the findings of the housing needs assessment that was prepared in conjunction with the new planning scheme project, and is considered a positive step to address the housing affordability issues. The changes would allow for multiple generations to live on the same site, but still allow for their independence within individual unit forms. With summer upon us it’s time to head to the beach and have a surf in the newly established World Surfing Reserve. Noosa recently joins other ‘surf towns’ across the world including Malibu and Santa Cruz (California), Manly and Snapper Rocks (Australia), Todos Santos (Mexico), Punta de Lobos (Chile), Hunachaco (Peru), Ericeira (Portugal) and Gurao do Embau (Brazil) in being awarded this honour. The status gives surfers a seat at the table to discuss issues related to development and coastal management. Noosa is also an exemplar to other towns of how things can be protected and enhance the tourism product. A recent study by Mcgregor & Wills of the Australian National University also provides scientific evidence proving what many already knew, which is that economic activity grows faster near good surf breaks. A high quality surf break, patronised by intrepid surfers, provides the focus for future investment. This then grows to support a broader, non-surfing tourism industry, like Noosa and Byron Bay in Australia, Jeffreys Bay in South Africa, Taghazout in Morocco, and Arugam Bay in Sri Lanka, which all started as small surfing towns in the 60s. The researchers also found that the permanent population fell near good breaks, which is consistent with tourism driving up property prices. Good design of the public space in front of any development is a crucial element in the success of a development. Appropriate landscaping, consideration of pathways and casual meeting places can significantly enhance the value and usability of the public/private interface. It is also an area where liability and responsibility needs to be considered and discussed at an early stage with Councils. In response to negative media regarding Buderim’s ‘urban food streets’, the Sunshine Coast Council has recently produced a Sunshine Coast Street Tree Master Plan for planting in street verges. The plan seeks to guide appropriate plantings in the right locations, while reducing the conflicts and long term maintenance requirements for Council. Martoo have been involved in numerous commercial and residential developments, which carefully consider the landscaping response to the street frontages to enhance the development. A recent example is the soon to be completed landscaping works at the entrance to Rainbow Beach commercial centre. Working with Conlon Group and Council we were able to secure new landscaping and frontage works, including a new ‘rainbow beach wave chair’ which will be a meeting point for locals and tourists on this prominent corner of town. - Fraser Coast Council approved over $550 million dollars of new residential and commercial developments last month. This included a 200 lot over 50s resort development in Urangan designed and managed by Martoo Consulting for Ingenia. With the new Hervey Bay Hospital, increased domestic flights with Virgin, new schools and influx of young families and retires – the town is quickly becoming a hotspot of growth along the QLD coast. - Nadine Gorton has been instrumental in the approval for the redevelopment of the Sunshine Beach Surf Club. Following an Australia wide design tender, the new building is a contemporary coastal design which will assist the volunteer lifesavers continue to provide a safe beach for generations to come. - The Sunshine Coast is ‘Smart’. The recent decision by Sunshine Coast Council to continue contributing to the gobal ‘smart 21 region’ initiative, is expected to put the region at the forefront of managing the 4th major revolution – the digital revolution. This means more connected infrastructure and services from Council. - The Council is also keen to get a $1 billon cable built to support the development of the new CBD in Maroochydore. Although the State and Federal Governments are non-committal on the funding, the plan is to attract the technology, finance, media and education sectors to relocate here. - If you are heading past Tewantin these holidays, beware of major road works about to commence to build a new roundabout on the corner of Hilton Tce and Goodchap Street. Martoo have worked with Council and the client to combine works and timing for a new local centre to be constructed on this highly visible corner site, so as to avoid construction duplication and impacts. More info head to this link. - Noosa Council recently announced they are teaming up with CSIRO to be a living laboratory. Does this mean the residents of the Noosa Biosphere are healthy lab mice, who have escaped the rat race? - Tourism Noosa and Tourism Sunshine Coast pool resources to attract more visitors through Sunshine Coast Airport. This comes at a time Palisade Investment Partners commence their 99 year lease of the airport and the future development of the buildings. - Still no definite word as to when will the Rattler be steaming down the Mary Valley again. Questions are also being debated about the project’s cost? - Gympie – the town “25 minutes” drive from Cooroy: the highway has been completed and the business confidence mood is high. Another $92 Million has been spent on the next Stage D to Curra for acquisition and design, however the construction may be some time away. - Summer is here and ‘Rainbow’ is shining. New figures released from SLSQ show Rainbow Beach visitor numbers are up significantly. Locals have noticed not just SEQ visitor increases, but are reporting a surge in international visitors as the destination becomes a must see on social media. New developments increase the demand on local infrastructure such as roads, water and sewerage. Developments can range from homeowners subdividing their block to major developers building a whole new community. When local authorities approve a development application, the applicant may be required to pay an infrastructure charge to the local authority. Local authorities use this money to upgrade infrastructure and make sure neighbourhoods have the services they need. The Department of State Development, Infrastructure and Planning has produced an Infrastructure Planning and Charging Framework that is intended to be fair, clear and simple, striking a balance between local authority sustainability and development feasibility. A Fair Value Schedule of charges that encourages local authorities to apply fair infrastructure charges. A Priority Development Infrastructure program that will see the state co-invest in development and economic growth in local communities. An investigation into sensible infrastructure standards set by the state. Transparent and consistent legislative changes. The draft framework was presented to industry representatives and then presented to State Parliament in May. Should you want to discuss what the change to infrastructure charges may bring for a development in a particular area, please do not hesitate to contact Martoo Consulting to have a planner assist with your development enquiry. Regions – half of Queensland’s population lives outside South East Queensland. Environment – Queensland has the best balance of environmental protection and economic development in Australia. Infrastructure – the right infrastructure is delivered at the right place at the right time. The balance of environmental protection and economic development is covered in greater detail in a previous post, and will not be discussed in any depth with this update. The discussion of infrastructure delivery is indirectly given within this article’s focus upon the “Regions” element of the strategy directive. Regions – half of Queensland’s population lives outside South East Queensland (by 2044). At first glance, it may seem that this statement is easily achievable without much direct policy intervention. However, for a population estimated at 4.66 million at the June Quarter of 2013, South East Queensland makes up approximately 70% of Queensland’s entire residential population. Further, an assessment of Queensland’s broad hectare land supply, which is greenfield and brownfield land suitable for residential development greater than 2,500m2 in size, provides that South East Queensland holds an expected future dwelling yield of 450,000; accounting for 75% of dwelling yield across the entire State. So, with a large population base, strong recent population growth, and the potential for a significant amount of future dwellings to be sited within the region, it stands to reason that it may be difficult redirect the inertia behind the steady trend of population growth within South East Queensland. Once the logistics and cost that would underpin the sufficient and timely construction of public and community infrastructure is taken into account, which would be provided against the current trend of population growth, the scale of the commitment behind this strategy statement becomes more fully realized. This strategy direction, if carried to fruition, would likely stimulate a large number of infrastructure upgrade projects across the State to support this growth. Without already large rate bases, these infrastructure investments are not likely to be able to come from smaller Councils outside South East Queensland; limiting significant growth to areas within the larger regional areas of Mackay, Rockhampton, Cairns and Townsville, and undoubtedly with the added help of significant State or Federal regional infrastructure funding. The far more difficult query relates is how the Government plans to stem the tide of greenfield, and indeed brownfield or infill development, in the burgeoning South East Queensland region, against the apparent momentum of this popular region? Or is the plan to outstrip the long-standing growth trend in SEQ, with astronomical injections of funds to stimulate growth and infrastructure development in regional and rural areas of Queensland? Will this come at the cost of those in the State who choose to settle in well-serviced and affordable areas of SEQ? The finer points of this rural and regional revitalization are not known, and it is impossible to say how exactly such a plan would be delivered at this point in time. The move by the Queensland Government to focus population growth, and hence economic growth, outside SEQ is a significant undertaking. To limit impacts upon fringe agricultural lands in SEQ from our ever-expanding city centres, it could be a welcome development. And so too for towns across Queensland which have been struggling in recent times with the pressures of metropolitan-focused population and societal growth, the “two-state” economy problem introduced by regional mining and gas projects, and fluctuating weather and commodities prices. The growth would not come without the announcement of many and varied infrastructure projects across the State, which could be a welcome move for the construction and manufacturing sectors. And it certainly would mean that developers looking to capitulate on this focus should start looking far and wide for opportunities to develop land across Queensland; as the growth in population in these areas will not occur entirely off the State’s back; and not without a concerted push from the urban development industry. Developers proposing to undertake development requiring extra assessment by the State will incur a higher fee from July 2014 under a planned “cost-recovery” model released by the Queensland Government in February. Some aspects of development in Queensland are considered to warrant the assessment against interests of the State, for impacts chiefly upon their assets such as roads, railways, national parks, environmentally sensitive areas, waterways, agricultural land suitability, and vegetation management. Any application made to a Local Council for a land development, if it is of interest to the State, currently gets referred to the relevant State Department for assessment, through the State Assessment Referral Agency. The fees for this assessment currently vary, with some assessments priced at zero, and some in excess of thousands of dollars. In order to recover approximately 64% of costs ($25.3 million) for its assessments of development applications, the State is proposing that no assessments will continue to be priced at zero, and the existing fee structure recorded in Schedule 7A of the Sustainable Planning Regulation will be overhauled. The Consultation Regulatory Impact Statement proposes that a weighted fee is to be applied, based upon the time it takes for the State to typically make each certain type of assessment. There are to be five fixed fee levels, with the base fee at around $700, and the maximum fee at around $11,000. What does this mean for developers of land in Queensland? In most cases, it means that it will cost more to undertake any type of development involving the State as a concurrence agency. This has a variety of implications, but typically it would seem that smaller developments that inconsequentially trigger State assessment stand to suffer the most from this policy, due to a high cost relative to their development’s returns. That being said, the State is proposing that for some potential impacts, a quick assessment of likely impacts can reduce fees. If a no impact is likely, the fee is applied as cheaply as possible (between $700 and about $2500), but for high likely impacts, fees can be as high as about $11,000. The most frequently referred State agency for development assessments is the Department of Transport and Main Roads (DTMR). This referral currently has an assessment fee priced at zero, and can be implicated with many small but also some large developments, based upon their proximity or likelihood of impacting State transport networks (mainly roads). For the estimated number of assessments in 2014-15, referrals to DTMR account for approximately 36% of the 7040 assessments. It is considered that much of the assessment revenue would therefore come from triggers relating to DTMR and State-controlled roads, at the cost of the applicant. It is worth noting that this assessment fee may be in addition to requests for certified reports by consultant Engineers, Scientists, or other suitably qualified persons. This isn’t a new occurrence, and has been a shift in the last couple of years, which acts to further complicate the process for anyone wishing to do their own development assessment. The State’s policy does mean that those wishing to profit from the development of land will wear a more equitable share of the costs; a cost that taxpayers had previously borne. This is an ethical and logical step. The policy in it’s current form isn’t without potential issues however, including chiefly the basis of the cost being for the historic time it takes for the State to make it’s assessment on certain matters. These times fluctuate for a variety of reasons; individual assessor performance, change in policy, and difficulty of assessment due to the non-local base of assessor or non-technical base of the assessor. Further, it is suggested that a Risk-SMART type arrangement would provide further equity for developers who engage experienced consultants, who prepare reports and plans which significantly reduce the time and complexity of the State’s assessment. The most encouraging section of the policy is the Government’s aim to continually review the fee structure; to ensure that any issues arising from the framework are addressed and any bumps ironed out. The Government is obviously hoping it’s already got the balance right between cost and outcome, though the fee for some assessments might still be hard for some applicants to swallow, particularly small developments where the trigger for assessment has arisen from what may be perceived as a trivial or inconsequential matter. If you’re considering a development that you believe may implicate a State assessment, it may be best to consider going ahead with the development now to avoid a potential rise in referral costs. Please contact us for a site-specific assessment, and we can advise on what the potential difference in costs may be. The Newman Queensland Government’s approach to the State’s planning policy has been revealed as one of consolidation; introducing a single state planning policy (SPP) to replace the multiple policies previously in existence. The SPP has two important roles; in guiding local governments to identify and implement state interests, and also for applicants in formulating their development proposals. government administrative offices and works depots. Some state interests have supporting mapping to assist in spatially representing policies or requirements outlined in the SPP. There is mapping for both local government plan making and development assessment purposes. This mapping is contained in the SPP Interactive Mapping System. strategic airports and aviation facilities. With a number of planning schemes under review, or scheduled for review in the near future, the Single SPP along with the ever-updating Queensland Planning Provisions, and other relevant planning instruments, are sure to be cornerstones of the Newman Government’s planning legacy, as it is constructed and unfolded before our very eyes. It remains to be seen whether the level of change from a planning framework perspective is having an effect upon the simplicity and warranted success of development applications; it should be said though that the distinctive move from ad hoc and numerous, toward consistent, consolidated and duly iterative, is a welcome directive in spite of the short term complexity it presents. Brisbane City Council is committed to facilitating economic growth and maintaining prosperity in Brisbane through sustainable development. As part of this commitment, Council has released the draft new City Plan (ePlan). This draft new City Plan is Council’s plan for the future development of Brisbane. 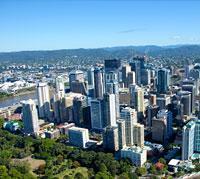 It guides how land in Brisbane can be used and developed. It also helps us plan for infrastructure to support growth and create a more diversified economy while continuing to protect our city’s enviable way of life. You can have your say on the draft new City Plan. How can Martoo Consulting help you? We offer our clients an extensive experience in the documentation, consultation and feedback phases of planning schemes, particularly here in Queensland where our highly regarded staff has had many years of professional service in the areas of Town Planning, Surveying, Urban Design and Development Management. In this way we can fully appreciate your questions, concerns and potential implications. We then interpret your specific circumstance to the current and Brisbane’s draft new City Plan and professionally compile this feedback to Council on your behalf.